What Is Your Birth Experience? Your Birth Experience Childbirth Preparation Curriculum is a comprehensive, customizable childbirth education curriculum designed with YOU in mind. The purpose is to help you envision, prepare for and achieve the birth experience YOU want. 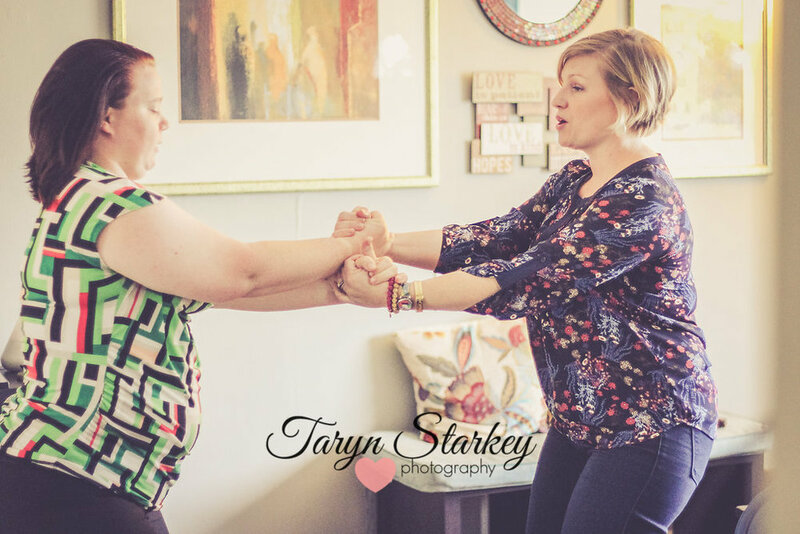 Through the Your Birth Experience Parent Guide, and one-on-one sessions with your personal, Certified Instructor, you and your partner will be empowered and equipped for YOUR unique experience. Your Birth Experience Childbirth Parents' Guide is an interactive journal that walks you step-by-step through the process of understanding your own unique desires and needs in relation to childbirth. Creating a truly satisfying birthing experience is more complex than whether or not you want an epidural, and in fact it often has little to do with that one choice! Using simple and effective training techniques rooted in exceptional research from birth and medical experts, sports psychology and personality trait studies and the parents who have contributed to the molding of the curriculum over the years, YBE helps you focus on what is truly important to you in your childbirth journey. YBE can help you have a positive and profound experience, regardless of physical limitations, method or mode of delivery. Rather than promoting one "method" of childbirth, YBE provides expectant parents with resources and support from multiple birthing mindsets and allows them to choose the kind of mindset and skills they need to navigate childbirth on their terms. It also contains detailed information about the process of childbirth, physical and mental preparation, evidence-based information about your options and tools for effective and collaborative communication with your medical provider and birthing team that is presented in a simple and understandable way. Engage the power of positive imagery by envisioning your experience and creating an empowering Birth Vision Statement. Find out what you can do right now to prepare your body and mind for childbirth and early parenting.